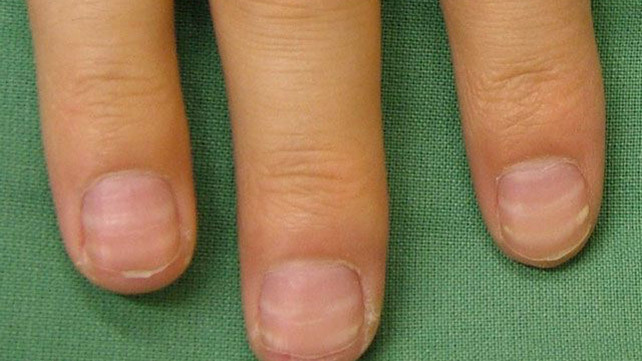 Human nails can be a storehouse of information about a person’s health. You just need to learn to read the signs. In this article we will present you the information that you need to know and the signs you need to pay attention to! 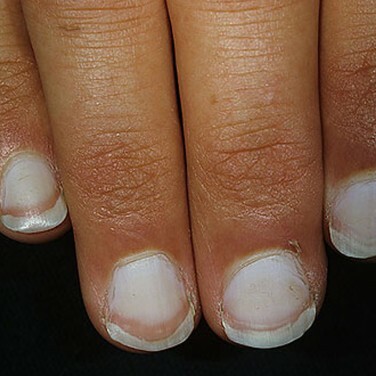 The presence of unnatural pigmentation on the nails could be a signal of skin cancer. 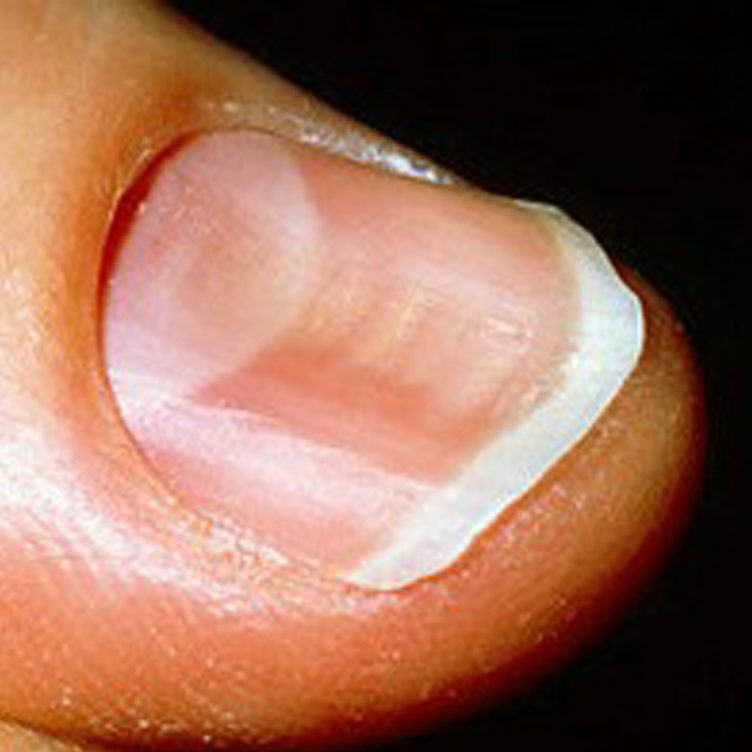 Melanoma, which is a type of skin cancer, can appear like these vertical brown lesions on the surface of your nail. If you see any kind of stripes on your nail, consult a doctor immediately. If your nails have any weird colored pigmentation unlike their natural color, it might be a cause for concern. These are a sign of there being a nutrient deficiency in the body. 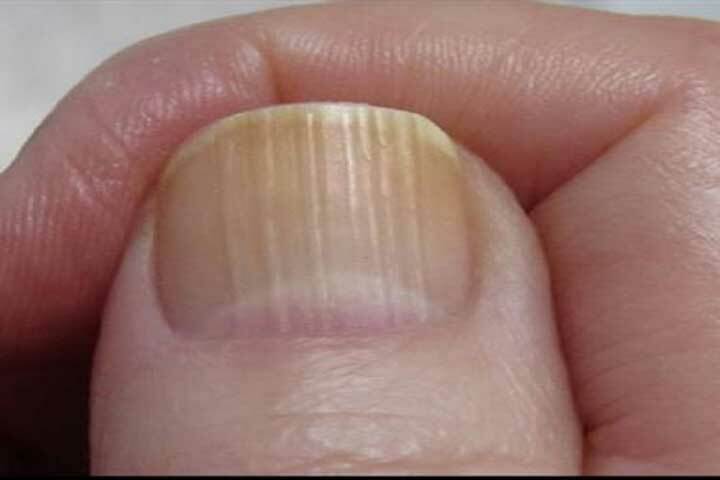 It means that when the nail was growing, during a certain time, there wasn’t enough zinc or protein in the body and hence the difference in the nail color. Ensure that your diet is according to your height, gender and body weight. Stripes are not the only thing that can appear on your nails. If you notice that over the years the texture of your nails too is changing, with weird ridges or likewise appearances, don’t worry too much. It is just another sign of aging like Crow’s feet near your eyes. Now this one will definitely not go without notice. 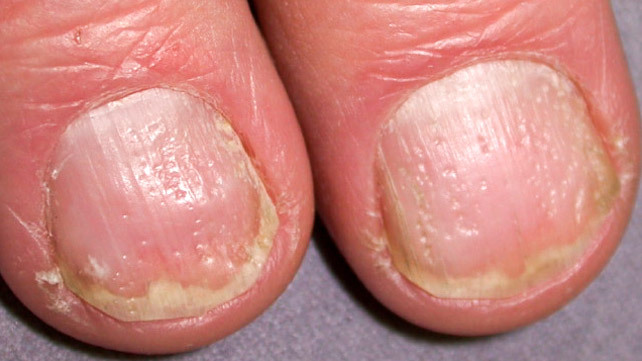 If your nails look like spoons, you have Koilonychia. This means that your nails have become extremely thin due to anemia or deficiency of iron in the body, that their shape is getting deformed. Get tests done so that an accurate cause for this can be determined. If your nails have become rough and brittle and snap off too easily, it can have a perfectly logical explanation which is not dangerous at all. 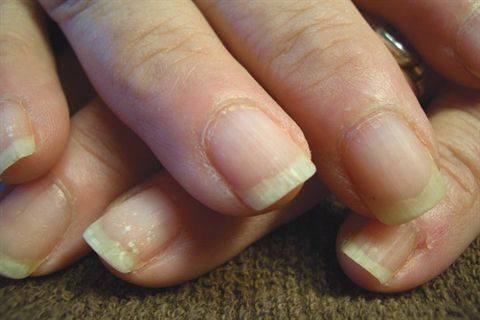 Working with water too much or exposing nails to chemicals from salons can do this to them. But an irregular thyroid can also be one of the culprits. Noticed those little slivers of white at the base of your nails? Well they are quite common, if the area they cover is small. 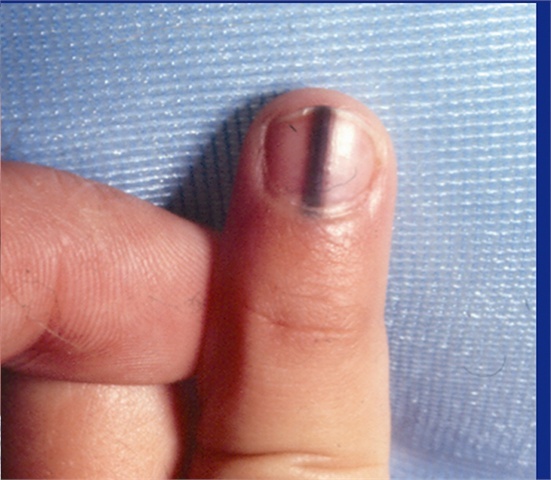 But anything more than a quarter or a half of the nail’s entire area can signal serious risk of renal failure or like. If it gets even worse, crossing more than 2/3rds of the nail, then you have to get your liver checked. Get tests done to get at the underlying cause of liver failure which these indicate. We all know that blood can clot if there has been some trauma such as getting your hand stuck between a door or a cabinet while closing. 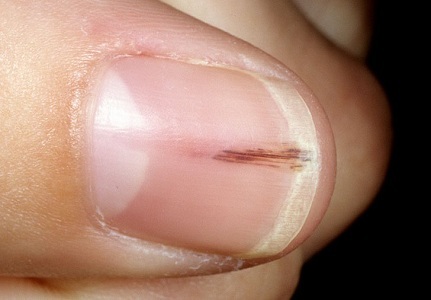 But if you see unusual red streaks, they can be splinter hemorrhages. These are signs of your heart being plagued with bacterial infections. This condition is known as endocarditis. Its risk is especially more for people who have heart implants or a history of heart defects in the family, and also abuse of drugs and likewise. Another variation in the texture of your nails which can be a cause of concern is the appearance of small craters or pits on your nails’ surface. This condition is called Psoriasis and indicates arthritis in the near or distant future. 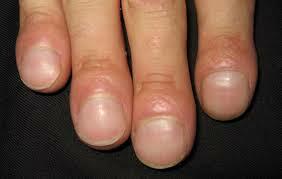 The appearance of swollen fingertips or rounded nails is named as clubbing. This phenomenon occurs in people who have something not quite right with their pulmonary system. When there isn’t enough oxygen in the blood stream, this condition can appear. Other than lung cancer, it can also be due to the thyroid being overactive or another liver problem. Whatever be the cause, clubbing needs to be consulted upon with an expert to know the underlying cause and treat it.